We Provide Pest Control Service, Humane Animal Trapping, Proofing, Animal Droppings Removal & Sanitizing, and We Remove Dead Animals. Call Us at 973-302-4144 License And Insure. Serving New Jersey. NOTE: THERE IS A CHARGE FOR THIS SERVICE. We also provide all types of Pest Control Service, Humane Wildlife Removal, Animal Proofing, Animal Exclusion, Animal Damage Repair, Animal Droppings Cleanup And Sanitizing Service, Gutter Guard, and Gutter Cleaning. 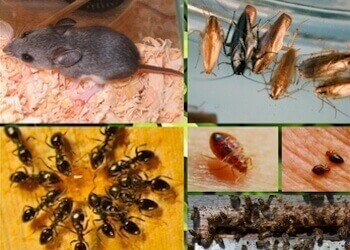 Hiring a pest control NJ expert gives you the chance to have better results. The work is of higher quality and everything is done in a much better manner. You are going to have fewer problems when you choose someone who knows the job. If you are trying to do it on your own, you are going to run into various issues that you would not have had otherwise. You are also going to be limited as to what you can do because you do not have the same equipment or knowledge that the professional does. This will make it harder to have the high quality work that you are after and to secure your home from pests. When you look into pest control, you want the work to be effective, quality, and long lasting. If it is not, you will not be able to enjoy the more secure home that you want. You will still have pests running around and you will still have to deal with the problems that they cause. With a professional service, you will not have worries regarding this. You will be able to trust the work and you will be able to enjoy the cleaner home that this provides. Pests, whatever they may be, will not be as much of a problem anymore. The help of professional exterminators NJ offers makes effective work possible. It is not only effective, but also efficient. This type of work is faster and better than your at home methods. This is because professional equipment and products are used to remove or eliminate the pests. With this, it is possible to see greater results much sooner. You will be able to enjoy a cleaner home in a smaller amount of time and you will not have to deal with the issues that come with poor quality service. Capable pest control NJ services give you the chance to have a better home in general, and all in a small amount of time. You can only have this work when you reach out to a professional. This is not difficult, of course, but it is something that you must do. You need to have someone capable and qualified on your side if you want to take advantage of the many possibilities. This will open up greater cleanliness and health, allowing you to live more easily and happily. With the assistance and quality available, it is not difficult to have this work on your side. Once you reach out to quality exterminators NJ offers, you are going to see the difference immediately. You will have access to higher quality work that will improve the condition of your home. Pests will be removed more quickly and in a better manner, giving you the chance to avoid the dangers that they pose. You are going to have fewer fears and problems thanks to capable and reliable work of pest control services. You can trust them and what they do, and you will know that they work is far better than you could manage alone. Are you wondering what to do with the dead animals, lying around your house? 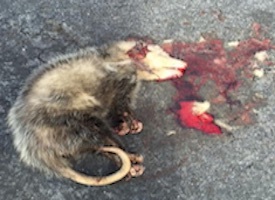 Well, you should definitely go for the dead animal removal NJ. 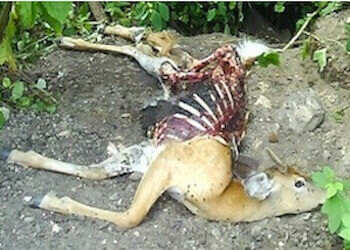 There are special kinds of services, which will help you in removing the dead carcasses of animals. Why is the Dead Animal Removal So Important? You cannot let the dead animals to lie around and decay. 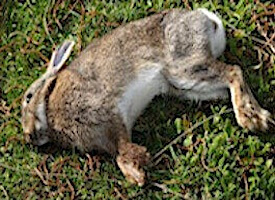 The dead animals will not rot very soon and will attract many flies, insects and germs. Other than that, other wild animals too will be attracted to your house, to catch the prey. And, the wild animals can harm the human beings as well. It can cause major health issues. You can have problems with your lungs and other parts of the body. You could catch cold, flu, bronchitis, Asthma and other things. So, it is really essential for you to get the animals removed. The smell in your house will be unbearable. Even if you are probably used to the smell, think about your neighbors or guests who will drop in to your house. The dead animal could have rabies. Disposal of the dead animal and sanitizing the area. The dead animal that you believe is dead could still be alive. These were just some of the reasons for removing the dead animals. One should not live in the house with dead animal. The dead animal removal is a messy affair. And, you will probably not be able to do it yourself. 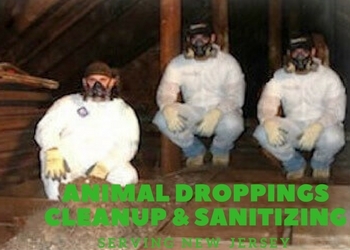 Call the experts in removing dead animal NJ, who have the necessary skills and experience for doing this job. Their charges will be reasonable and they will provide the best possible services, by making use of green products. They will know how to effectively remove them and dispose them off. Also, they will sanitize the area completely, so that your home is back to its germ-free state. Don’t take the dead animals lightly. Get it removed as quickly as possible. These animals will not only pose problems to your health but it can affect the safety of your family too. 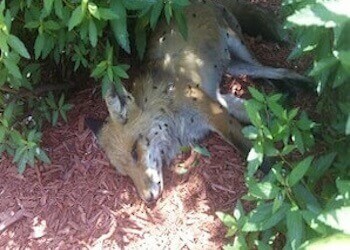 If the wild animals come on prowl for such dead animals, you and your family’s lives will be in danger. So, call up the experts and take their help. They will assure you of complete peace of mind. You would be able to live a stress free and tension-free life. Why should you continue to live with the dead animals around? Do not take a chance why put yourself at risk. For more information give us a call right now at (973) 302-4144. We are here to help you. We are Open 7 Days a Week. Same Day Service is Available. We also provide pest control service. NJ Counties We Serve: Bergen County, Essex County, Morris County, Union County, Passaic County, Monmouth County, Morris County, Middlesex County, Warren County, Somerset County, Hunterdon County, Mercer County, and Ocean County. We also serve some areas in New York. error: Alert: Content is protected !! !